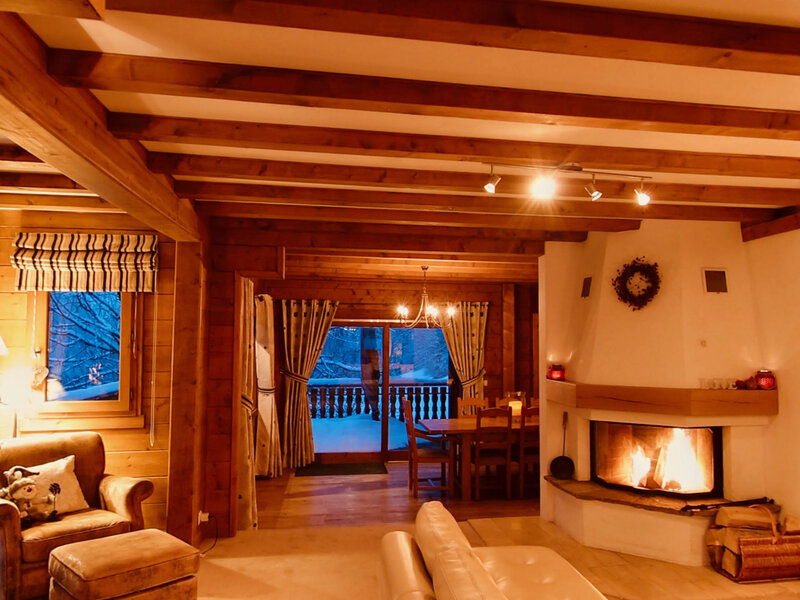 Chalet Blanc Luxury Ski Holidays. 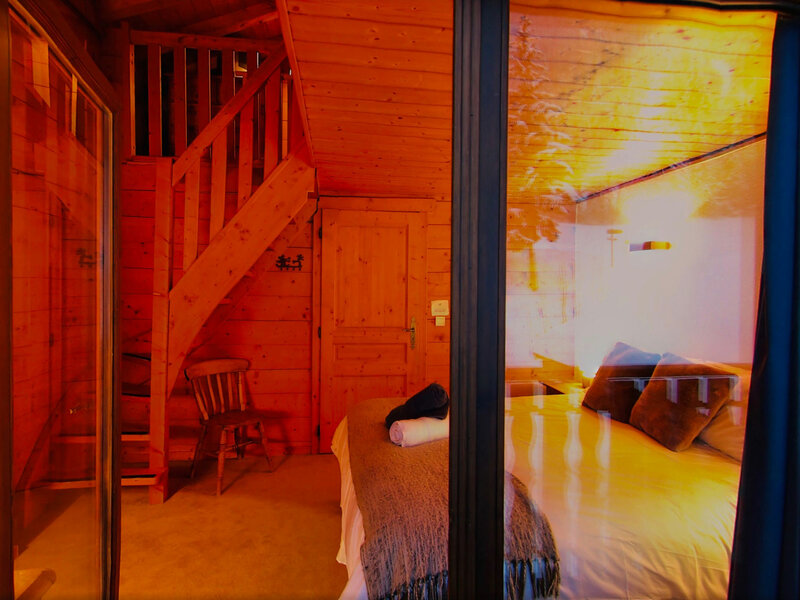 Beautiful chalet, great views, plenty of space, Hot-tub, log fire and so much more! At Chalet Blanc we aim to make your holiday a gastronomic delight! 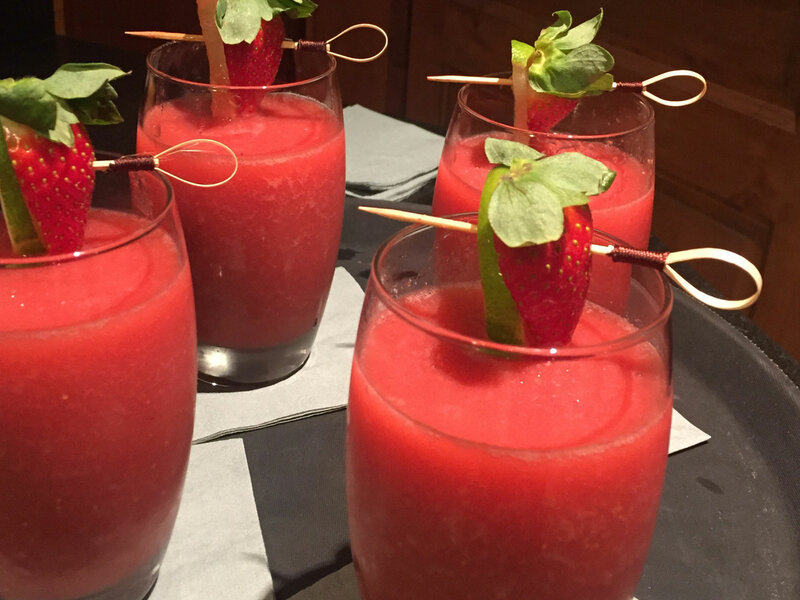 With emphasis on quality local produce our professional chef marries traditional themes with a range of other cuisines to produce menus that are simply mouth-watering. A delicious breakfast is served 7 days a week with a daily special from the chef - eggs benedict, smoked salmon with scrambled eggs, huevos rancheros or full English - or your choice of cooked breakfast, usually eggs with bacon and sausages. Fresh fruit, breads, cereals and yoghurt are always available and you can wash it all down with a selection of teas and infusions, fresh ground Brazilian coffee and freshly squeezed juices. For lunch we can recommend one of the many great restaurants either on the mountain or in the village. 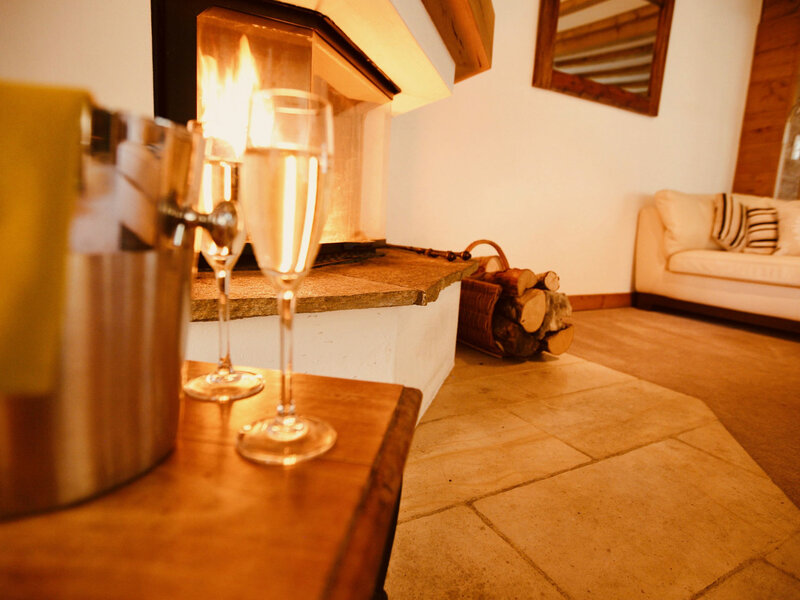 On your return from the slopes you can look forward to afternoon tea and home-made cakes which will be waiting for you in front of the log fire. 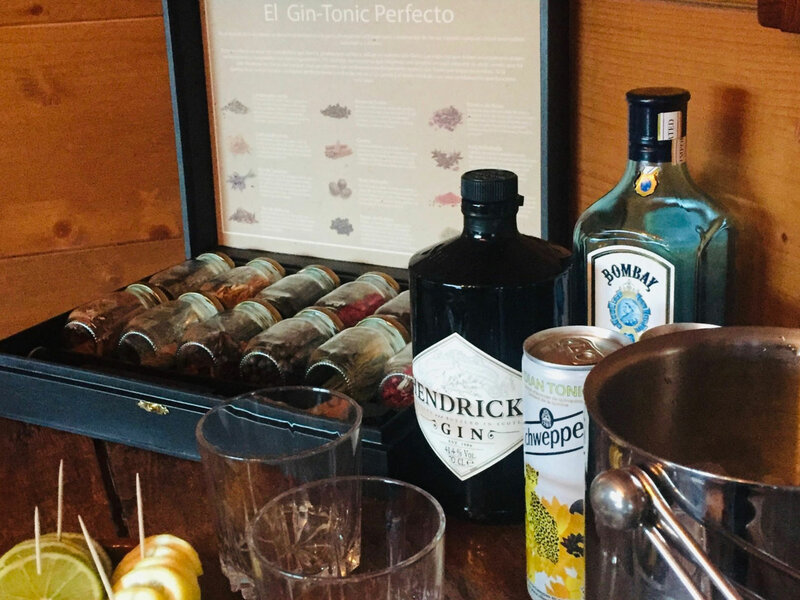 Later, feeling relaxed and refreshed, enjoy an aperitif, some champagne and a selection of our gourmet canapés. Dinner is a stunning 4 course meal, served in a relaxed yet elegant setting. If you have specific dietary requirements let us know and we will adapt our menus to suit. ‘A meal without wine is like a day without sunshine’ (Brillat-Savarin). 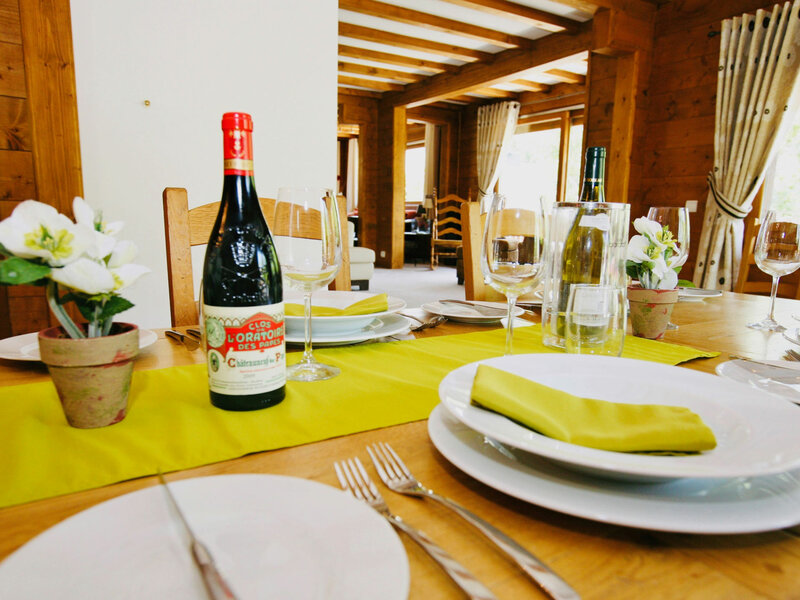 At Chalet Blanc we feel that the wine is as important as the food. We have hand-picked a wide selection of fine wines which perfectly accompany the menu and suit the most discerning of palates. Dinner is served 6 nights of the week, giving you one night to sample one of the excellent restaurants in the village. 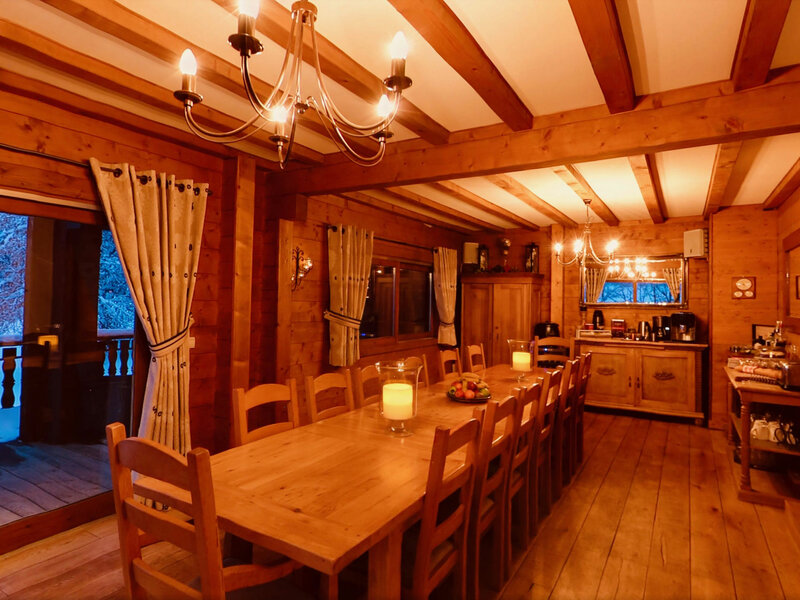 Chalet Blanc is enviably situated on the edge of a tiny enclave of chalets on the outskirts of Chatel. 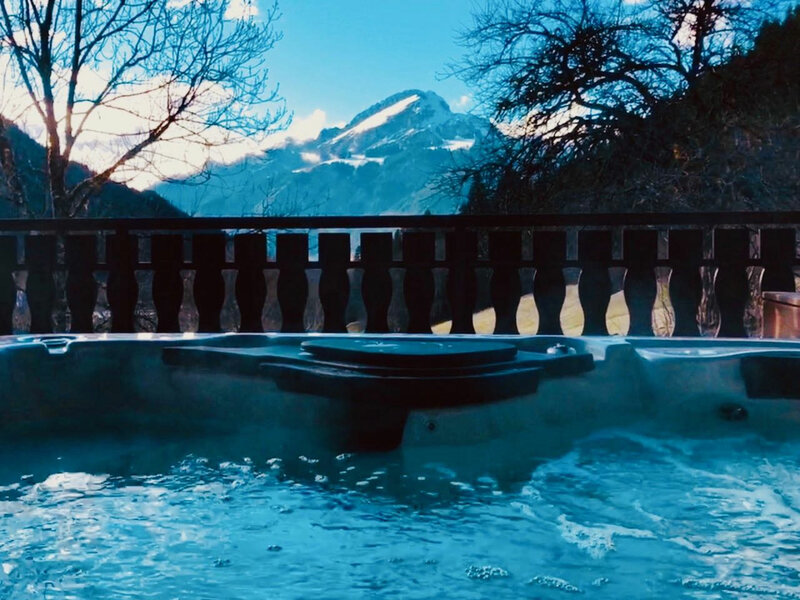 Peaceful and quiet with amazing views of the mountains in all directions (including from the hot tub) the chalet is a truly wonderful place to wind down and relax after a hard days' skiing. The chauffeur service to and from the slopes everyday affords our guests the best of both worlds - quiet, peaceful, beautiful but just a short private minibus ride to the lift/slope/bar/restaurant of choice. 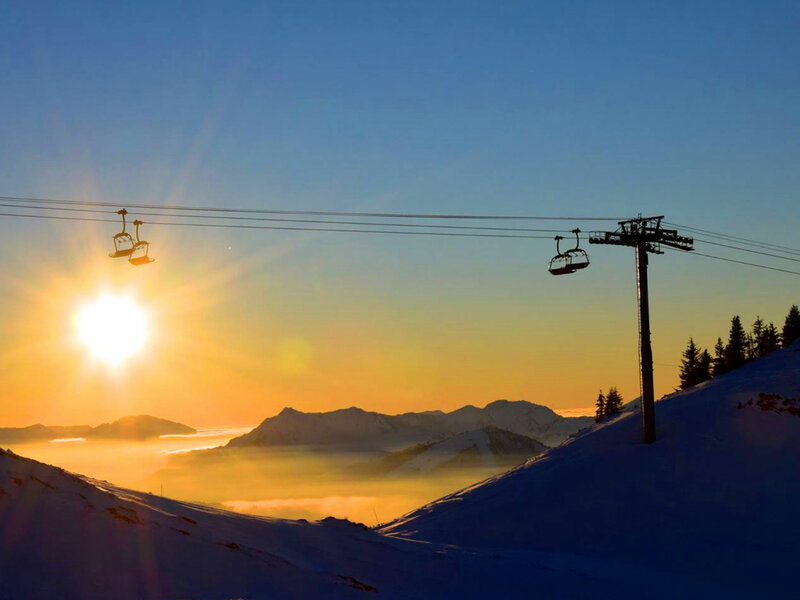 Châtel is at the heart of the Portes du Soleil ski domain - one of the largest interlinked ski areas in the world, with over 650kms (405 miles) of slopes spread across 12 resorts and 2 countries. The area is expansive and caters well to all levels with plenty of green and blue runs for the beginners, lots of exploring for the intermediates and some fabulous off-piste for the advanced among you. 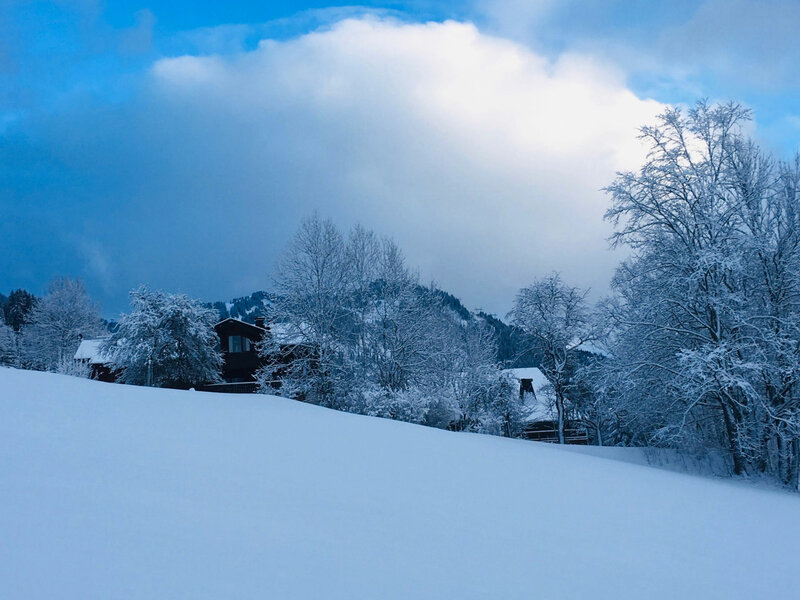 Just a stone’s throw from Switzerland, Châtel is unspoiled by commercialism and stands out from other resorts by offering world class skiing from a charming Savoyard village setting. Châtel remains a working farming village in the summer months, and whilst the cows are all tucked up inside in the winter you’ll be able to sample some of the delicious Abondance cheese that they produce. You’ll also find many attractions in the village such as bars, restaurants, gift shops, bowling alley and children’s carousel. There’s also a snowboard fun park, a toboggan run and an outdoor ice skating rink. 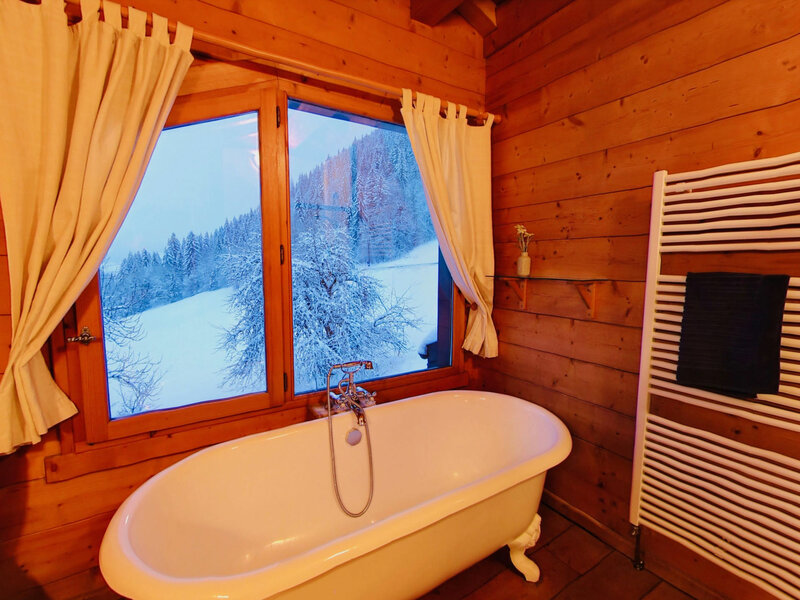 Châtel offers world class skiing from a charming Savoyard village resort. The lively village centre houses an array of shops, restaurants and bars all set within traditional alpine architecture that gives Châtel its 'chocolate box’ feel. 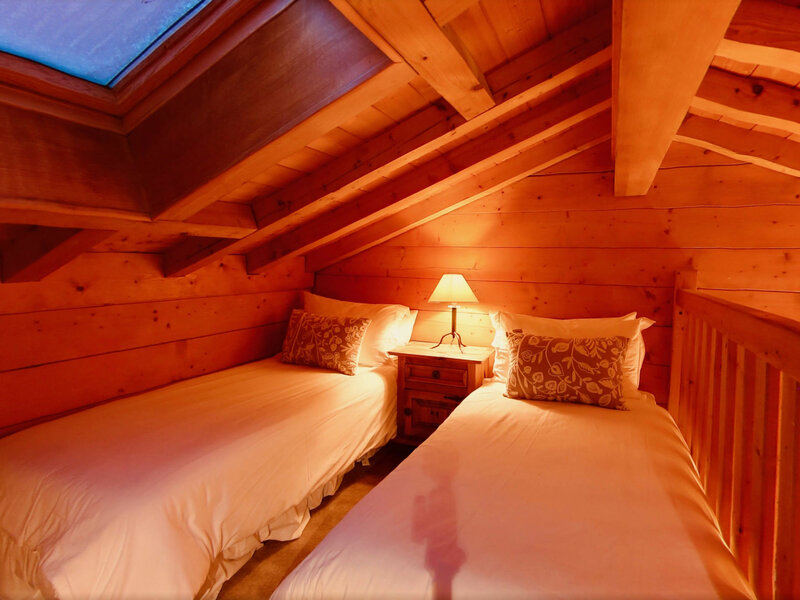 Breathtaking views of the vast surrounding mountains and unspoiled countryside abound! Whilst Châtel remains a working farming village it also caters perfectly for tourists during the two popular summer and winter seasons. 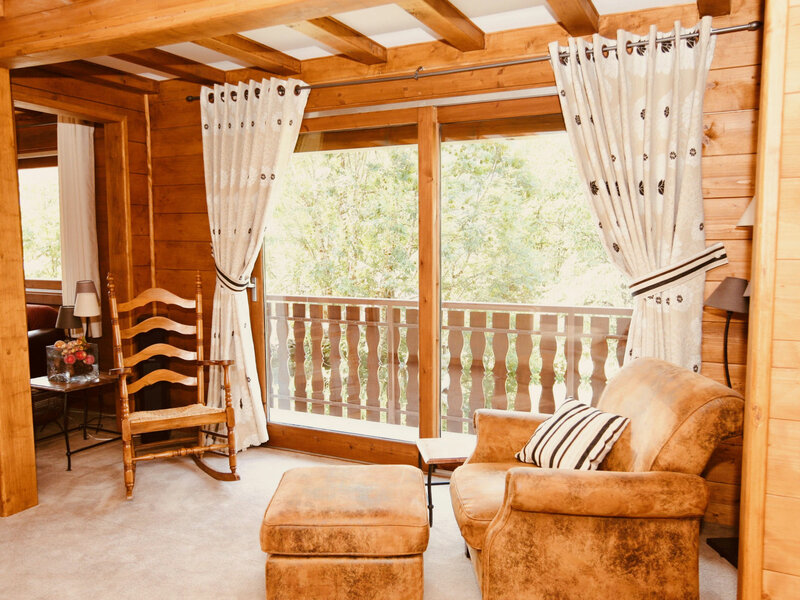 The atmosphere here is friendly and leisurely - enjoy a coffee on one of the many sun soaked terraces, wander around the little side streets and gift shops, experience the hum of the weekly market where you can source some of the best local produce the Abondance valley has to offer or relax in the pub at the end of a hard days skiing with friends. Châtel forms part of the vast Portes du Soleil ski domain. With over 650 kms (405 miles) of pistes, this cross border ski area is one of the biggest in the world made up of 12 resorts. 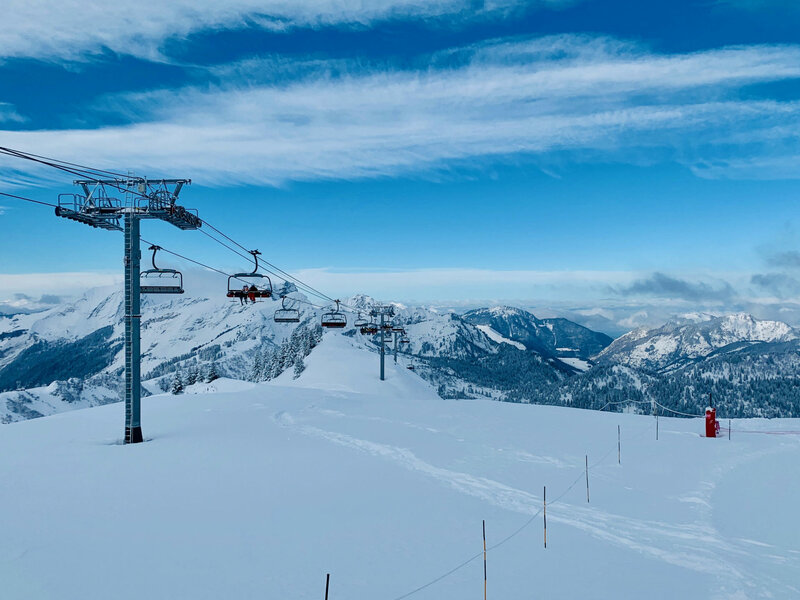 The whole area is well linked, including 2 brand new lifts in the centre of Châtel, offering fabulous discovery skiing to be enjoyed in the most spectacular and unspoiled scenery. 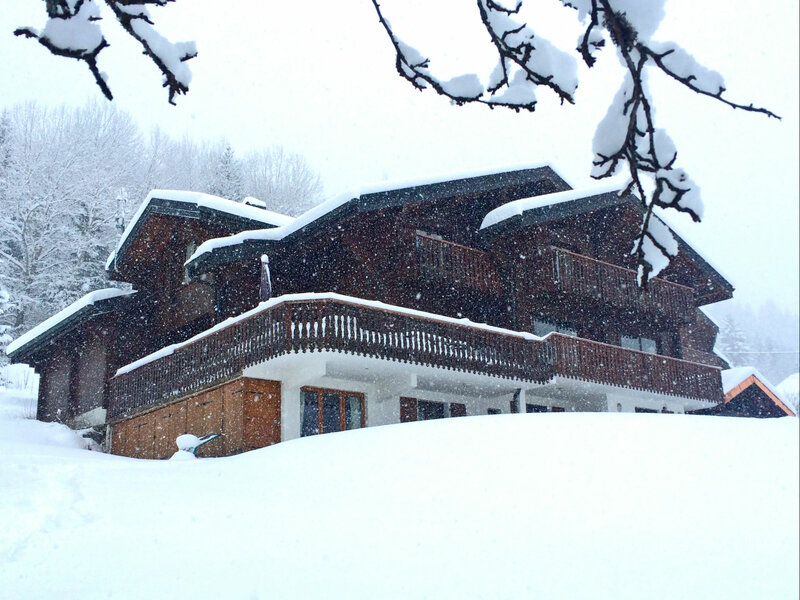 At Chalet Blanc we would be happy to ski with you, showing you the resorts, the best runs and mountain restaurants. With over 200 pistes and 194 high tech ski lifts the choice and variety is enormous. 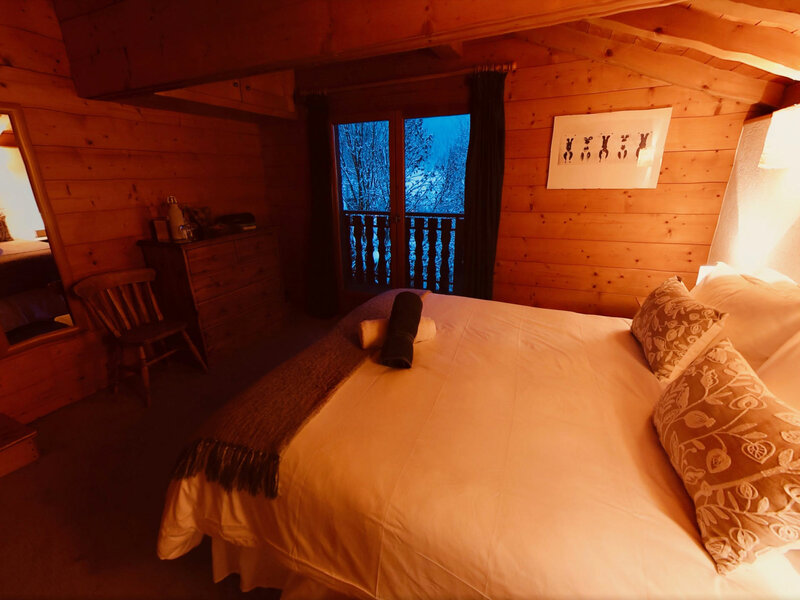 The Portes du Soleil ski area caters for all abilities whether you are looking for nursery slopes and green runs for beginners, long cruising tree lined slopes for intermediates or challenging black runs and off piste areas for advanced skiers. There are several board parks for the adventurous and experts may even enjoy the challenge of the Le Pas de Chavanette, also known as the "Swiss Wall" - there is something for everyone. 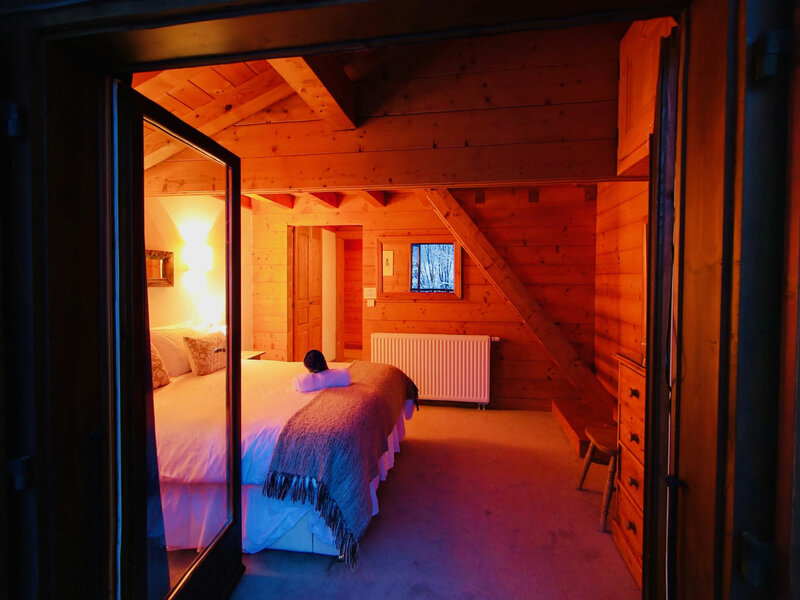 Châtel is ideally located in the heart of the Portes du Soleil region and everything it has to offer. 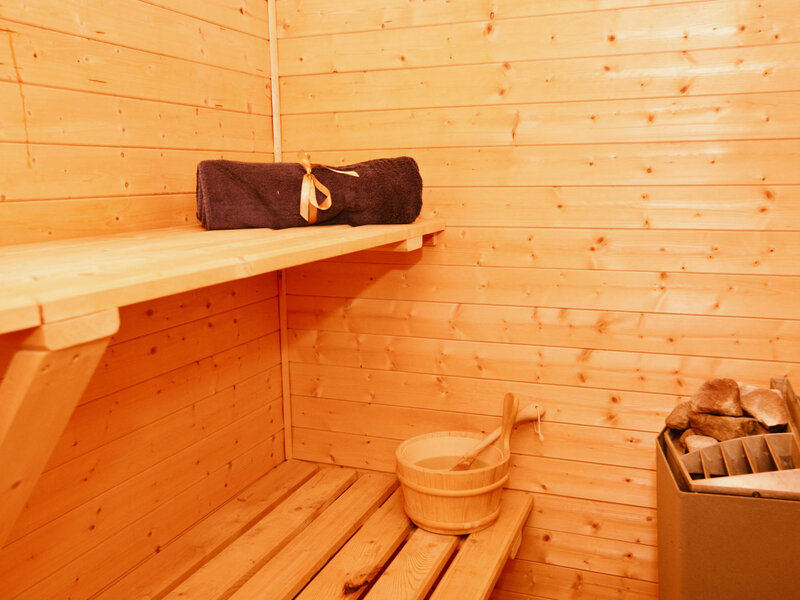 There are numerous lift stations within a short drive of the chalet from which you can pick and choose where to start and finish your ski day. 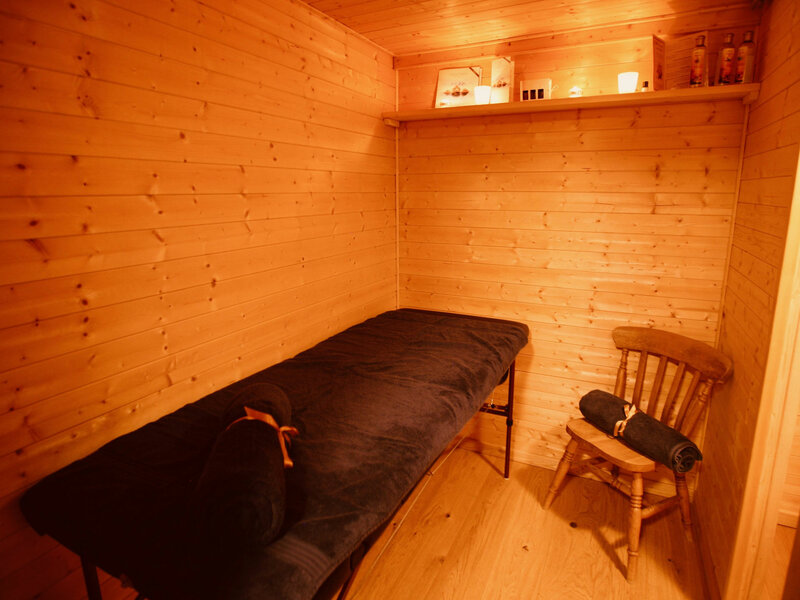 We offer a complimentary in-resort chauffeured service so no walking in ski boots - we will drive you door to door.